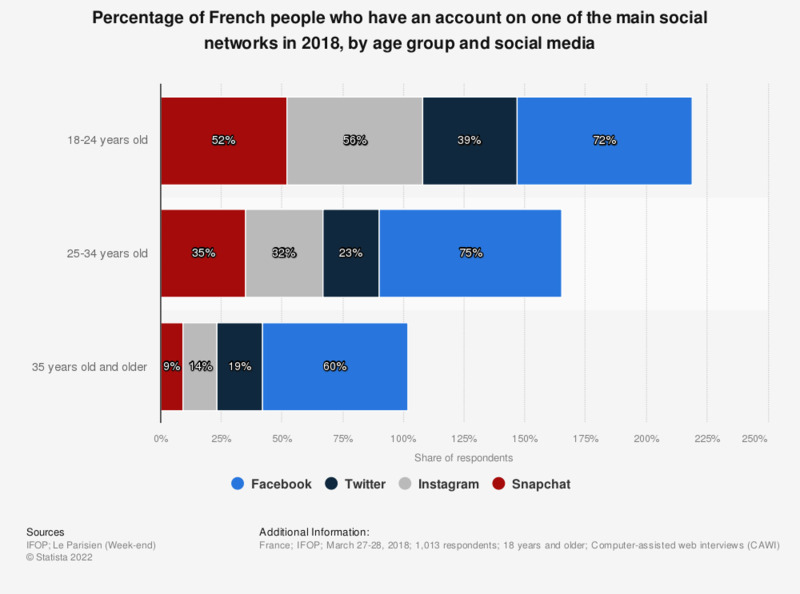 This graph displays the percentage of French people who have an account on the major social networks in 2018, broken down by age group and by social media. It shows that more than 70 percent of respondents aged 18-24 years declared having an account on Facebook. They were only 39 percent to own a Twitter account. This question was phrased by the source as follows: "Vous personnellement, ppossédez-vous un compte sur...?"